Composite Aerospace Containers – Lightweight composite structural components and integrated assemblies for commercial and military aircraft. Missile and Space Structures – Composite rocket motors and launch tubes for tactical and strategic missiles launched from ground, air, ship and submarine platforms. Composite Drive Shafts and Tubes – Filament-wound composite drive shafts and tubular products for both aerospace and commercial applications. Commercial Waste Disposal – Complete demilitarization and explosive waste disposal services, including; characterization, analysis, transportation, storage, treatment and disposal. Demilitarization Munitions Recycling – Safe and efficient demilitarization of a wide variety of surplus munition items. Waste Disposal Technology – Our advanced explosive waste disposal technology has been designed, sited and built to handle Classes 1.1 to 1.6 explosive materials and items. Rocket Systems – HYDRA-70 Family of Rockets / MAULER. From world-class modeling and simulation and advanced designs to development, qualification and production. Warheads and Payloads – GMLRS / PAW / CMS Payloads – The world leader in warhead and payload design, development, testing and production. Active Protection Systems – Active Protection Systems (APS) uses sensors, tracking radar, launchers and countermeasure munitions to defeat and/or deflect anti-tank guided missiles and rocket-propelled grenades away from combat vehicles. Reactive Armor Protection – Reactive Armor systems are combat proven armor systems that enhance the protection level of combat platforms against all shoulder-fired weapons and most tube-launched, shaped-charge systems. 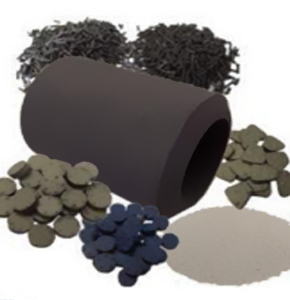 General Dynamics Ordnance and Tactical Systems manufactures a wide variety of solid propellants that are qualified for commercial automotive and military applications. Manufacturing ranges from low-medium volumes (50 lb. single batches) to sustained 3,000 lb./week using methods that result in high performance repeatability. General Dynamics Ordnance and Tactical Systems Seattle Operation’s primary manufacturing facility is located in Moses Lake, Washington. 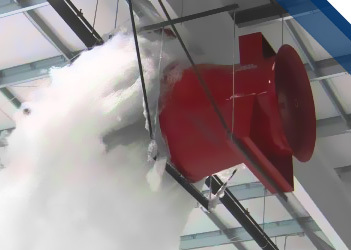 It is a 40,000 square foot facility on a 230 acre site, and is ISO 9001, ISO 14001, OHSAS 18001 certified. This facility manufactures solid propellants and assembles inflator and gas generators for complex military systems and subsystems. Commercial Applications: surge propellants, auto ignition propellants, igniter and main bed propellants. Your Mission is Our Mission. General Dynamics Ordnance and Tactical Systems is a global aerospace and defense company. We are a committed to providing the U.S. military and its allies with an extensive range of overarching products that provide a cutting-edge advantage to our war fighters. A General Dynamics Company. Copyright © 1995 - 2019 General Dynamics Ordnance and Tactical Systems. All Rights Reserved.